Paper is usually used as a medium to be drawn or painted on, sometimes used to make origami or paper art. This new book by Paul Jackson shows you that you can also use paper to create different textures for design purposes. 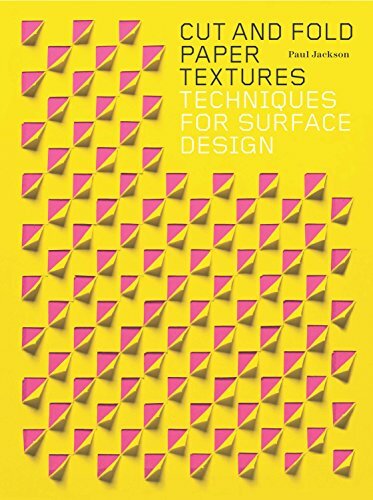 The techniques featured in this book are twisting, weaving, layering, coiling, tearing, bending, pleating, crumpling, incising and lifting, cut pleats, stippling and using translucent surfaces. There are several examples to show you how each technique can be used to create the texture and in turn create art. I enjoy looking at the creative ways that paper can be used. This book should appeal to crafters and people who like paper art.